Little girls love to play with beautiful dolls. 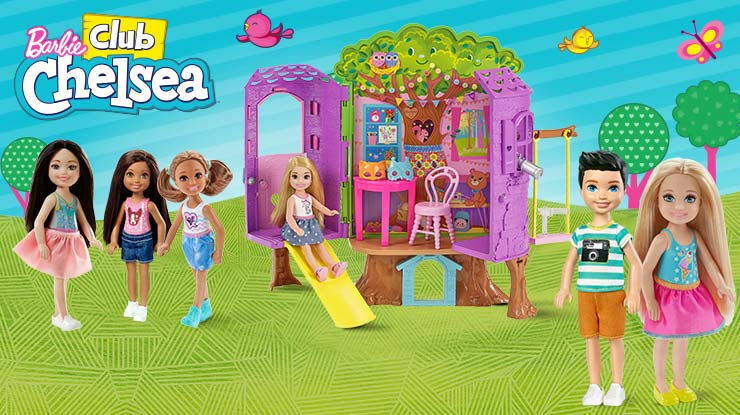 Here at Latest Deals, we have gathered the best cheap dolls offers, deals, and voucher codes. This is a great opportunity to purchase the dolls that you are looking for because of the special offers available. 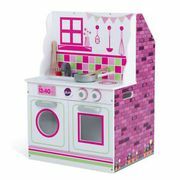 Whether you are looking for any kind of dolls, there are a variety of choices await you from Wilko, Very, Argos, and other reputable sellers. You can look for excellent dolls deals online with just a few clicks away and you can do it in the comfort of your home. Argos Barbie Playset3 Dolls 28 Accessories - Better Than HALF PRICE! 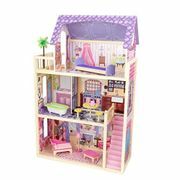 Where Can I Find Cheap Doll UK Deals? Buy the best baby dolls, cheap dolls clothes, Barbie dolls, cheap doll accessories and large dolls for your kids without busting the budget! 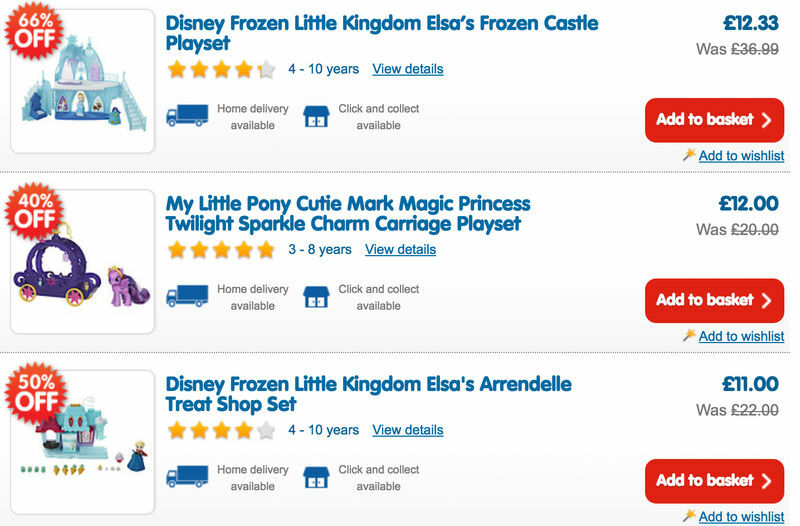 You can find cheap Smyths dolls deals, price drops, special offers, discount codes, sales and voucher codes here at Latest Deals. With our team of money-saving experts and a community of bargain hunters online who are always looking for the best deals out there, you will surely find a cheap doll for your little one that fits your budget. Get massive savings from your favourite UK retailers such as Argos, The Entertainer, Home Bargains, John Lewis, Tesco, Debenhams and the Disney Store. Classic. For so many ages now, dolls were seen in a myriad appearances; from soft to rag, porcelain to wood, and even plastic. Before, only wealthy people could afford dolls for they were considered a work of art. They were packed with clothes which were tailed from quality materials. Traditionally, the toy was a representation of adults. It was only in the 1950s when other forms, such as babies, were introduced. When plastics were popularized, the production dropped. This was the reason why dolls suddenly became affordable. Its popularity led to the birth of other industries too. It was the inspiration behind Action Man which is a brand that targets boys. With that, dolls will always be classic. Hence, it is not impossible to find classic ones up to this day. Various Kinds. Dolls are effective when it comes to sharpening the imagination of kids. With them, children were exposed to the different roles in the society and as well as the promotion of social interaction at a very young age. As they become even more realistic, they serve as an instrument in raising awareness to kids. Among the various kinds of dolls are cloth, composition, bisque, hard plastic, metal, porcelain, vinyl, wood and antique. These are not just for kids but for collectors too. Accessories. Caring for a doll can be more realistic with the availability of accessories. From bottles, nappies, clothes and jewelry, kids are given the option to dress up their dolls. There are also accessories which are intended for traditional nurturing role play. This is an opportunity to teach children how to take care of babies which is the known feature of Baby Annabell from Debenhams. The doll goes with functions such as sucking, babbling, laughing, crying, yawning and falling asleep. This can going to serve realism for sure. The earliest users of dolls were recorded way back in 100 AD in Greece. With this, it is just safe to say that dolls are one of the oldest toys kids have always been fond with. Surely, there is a good reason why the toy endure this long. What can children develop as they continue playing with dolls? Imagination – dramatic play usually occurs when children play with their dolls. This helps them develop their imagination creatively as they think of scenarios involving the toy with other children. Social Skills – the relevance of learning social skills at a young age should not be ignored. This skill can instill nurture to kids as they begin to understand how it is like interacting with others, whether it is through their pets or older siblings. Language – when kids play with dolls together with other children, they are fed into unique situations. In order to get through, they have to communicate - that is when their vocabulary is strengthened. This will serve as another discovery for kids as they play. Empathy & Compassion – the processing of emotions including compassion and empathy must not be underestimated. It can start at an early age. As a kid takes care of a doll, responsibility is instilled. This is when children start to comprehend the idea of empathizing with people around them. Dolls remain the best playmates for children. They are also one of the marvelous additions to most toy collectors out there, whether young or old. This is not surprising because dolls are flexible. Meaning, they can be Baby Doll or high fashion models. Kids have always been attracted to dolls because for many years now, the toy intends to resemble people; only that it is the smaller version. Dolls become real when children play with them. With it, the young ones are given the chance to take charge, to make decisions, to give and receive love, and to prepare for adulthood. After all, play has a vital role in the formative years of kids. Parents surely know this. Indeed, dolls can be fun and educational. However, they can be expensive too if you do not know where to get budget-wise deals. Regardless, nobody has to stop your kids from dressing and accessorising theirs. Anyway, buying additional clothing, dolls house or accessories can be affordable these days with the right voucher codes and promotional sales. Take advantage of them! After all, your children are only young once.